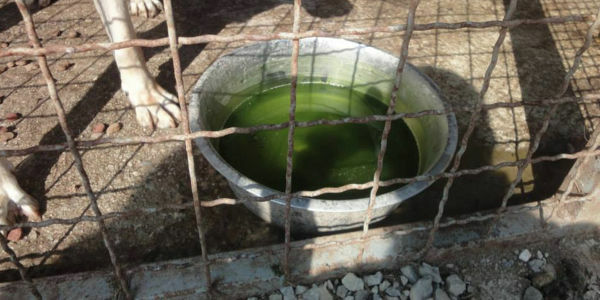 We need to break the wall of silence surrounding the conditions of the dog shelter of Bihac. Local institutions hide to their citizens what happens there, but the death and suffering of animals locked in this pound of atrocities is their own responsibility. It's fundamental that Bosnian animal welfare organizations may feel the support of the rest of the world in this fight against cruelty and injustice. Just sign and share, please. We ask you to take on your own responsibilities in the management of the dog shelter that was built built in Gorjevac, Bihac, Bosnia and Herzegovina. We have direct and daily evidence that the conditions of the dogs held at the shelter are beyond any living being tolerance. We demand you to apply the Law for Animal Protection approved and adopted by the Parliamentary Assembly of Bosnia and Herzegovina, House of the 42 Representatives, in 2008 and by the House of People in 2009. 1) We demand you to guarantee the cleaning of the cages, to provide appropriate amounts of food and clean water to the dogs of the shelter. To provide a heating system and blankets during winters. To provide shadowing repairs from the sun during summers. To let dogs walk outside the cages everyday. 2) We demand you to remove now all the trash and the carcasses of dogs from the cages and from the walking and common areas of the pound. 3) We demand you to guarantee vaccines and sterilizations through the Bihac Public Veterinary Clinic (Veterinarska Stanica), which is in charge of these tasks. 4) We demand you to dismiss from their positions the employees of the shelter who are not carrying out their jobs. We ask you to hire qualified and reliable people or at least to provide appropriate training to them. 5) We ask you to promote adoption initiatives for the local people and to incentive a volunteer program. The Gorjevac dog shelter is one of the shames of Europe and openly demonstrates the backwardness of your culture and corruption of your system. Animal welfare is not a negotiable value in the civilized country that we hope You’re trying to build. Therefore, we demand you to create a management that can absolutely ensure the welfare of the animals in the shelter or to close it down.